The chief executive of a new Cambridgeshire public body will receive £150,000 a year. Newly released documents for the Cambridgeshire and Peterborough Combined Authority have revealed the sizeable pay packet for the chief executive, who is yet to be appointed. The successful candidate will join the new combined authority which was set up as part a devolution deal for the county. The leader of the authority will be the first elected mayor of Cambridgeshire and Peterborough. 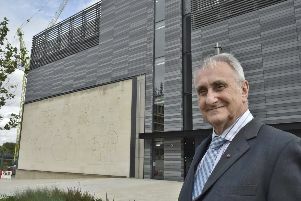 He or she will be joined in the cabinet by the leaders of the seven main Cambridgeshire councils (including Peterborough City Council) and a representative of the Greater Cambridge Greater Peterborough Enterprise Partnership. The authority will control a devolved transport budget and have £170 million to spend on housing for the county, of which £70 million is ringfenced for Cambridge. It will also have £20 million a year over 30 years to spend on boosting growth in Cambridgeshire. The new chief executive is expected to join in October. Until then, the combined authority is expected to agree next week that Martin Whiteley should be the interim chief executive role on a fixed-term contract from April 3 until September 3. The authority is meeting on Monday, March 20 at The Boathouse Business Centre in Wisbech. The meeting starts at 2pm.